Chloe Gyetvai is currently a junior attending Folsom High School and has a love and true passion for art. Chloe has received five awards of merit though her school’s annual art shows, as well as earned the Folsom High School Academic Award for Drawing and Painting 1. She is now enrolled in Drawing and Painting 3, and will advance to AP Studio Art next school year. Chloe is also a member of several clubs at her school including: CSF (California Scholarship Federation), GPS (Global Perspective Studies), and is an officer of club BARC (Bulldog Animal Rescue Club). 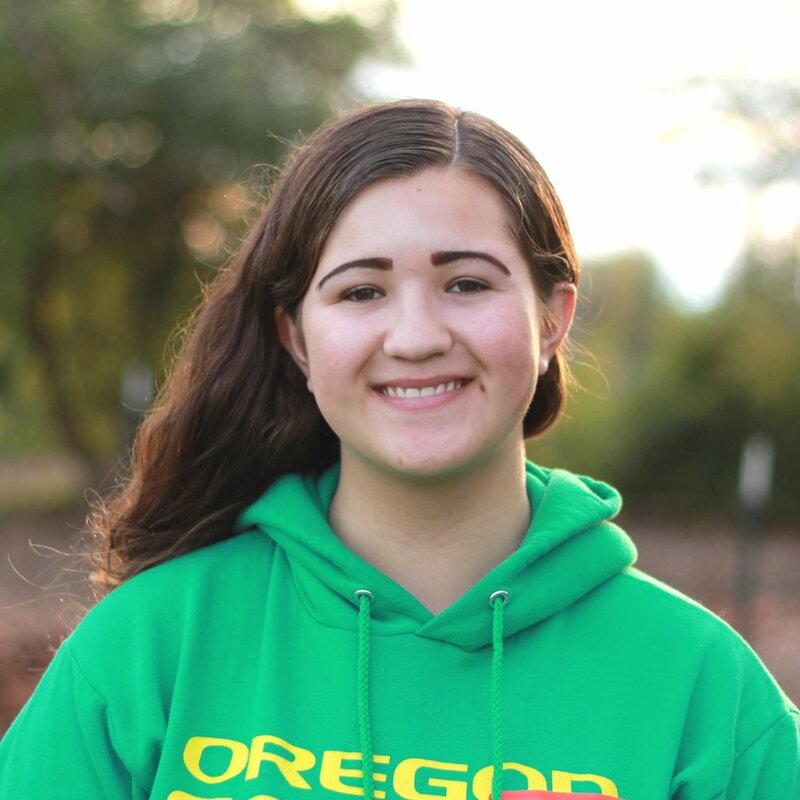 In her free time, Chloe enjoys kayaking on Lake Natoma with family and friends, and picking the blackberries there every summer. She also loves dogs and has two greyhound rescues, as well as a long-haired dachshund named Mr. Tom. Chloe is planning on attending an art school in the near future to pursue a career in animation and visual effects. Click here to return to Teachers.